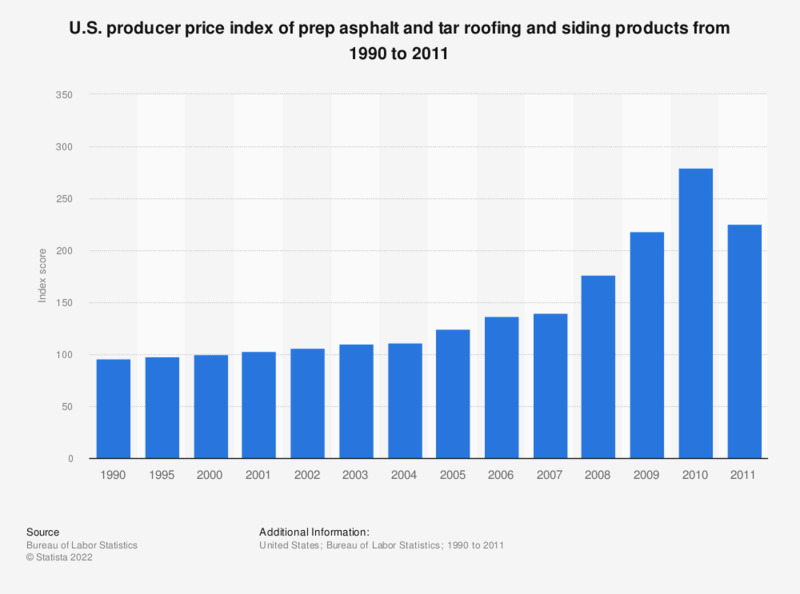 This statistic represents the producer price index of prepared asphalt and tar roofing and siding products between 1990 and 2011. These products had an index value of 95.8 in 1990, compared to 100 in 1982. * Figures through 2010 were taken from section 20 of the Statistical Abstract of the United States: 2012 (table 962), published by the U.S. Census Bureau in September 2011. The year 1982 was used as the base year (1982 = 100). Data for 2007 are preliminary.